We’ll embroider your company logo, design or name in the thread color of your choice. 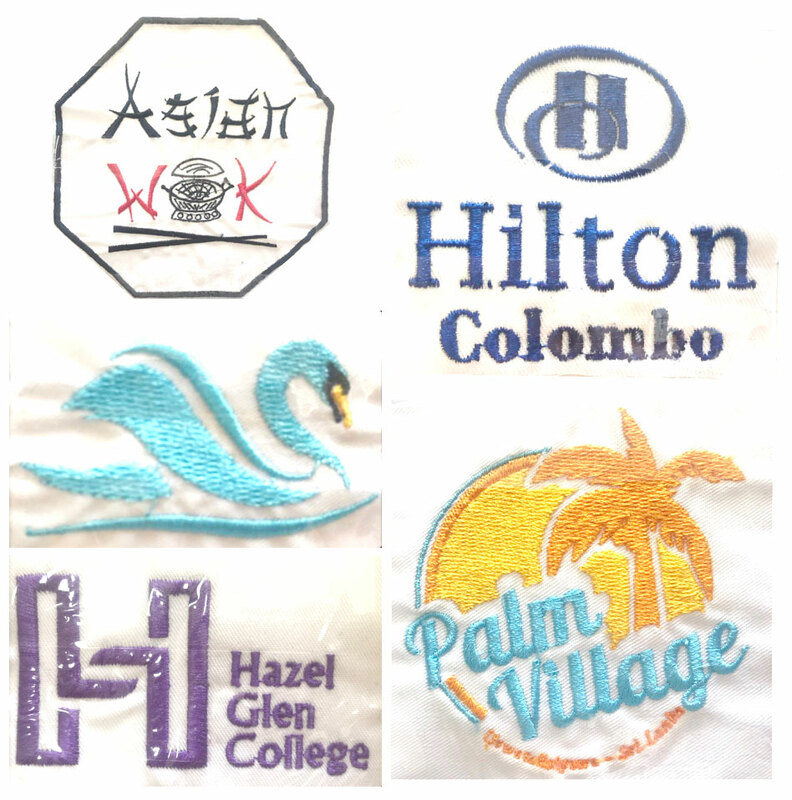 Embroidery is the process of stitching your design directly on the garments you order. 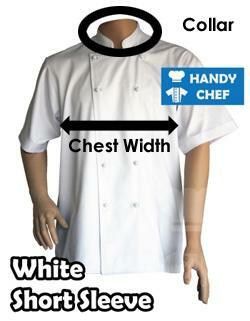 Personalizing your chef uniform is an ideal way to enhance your look. 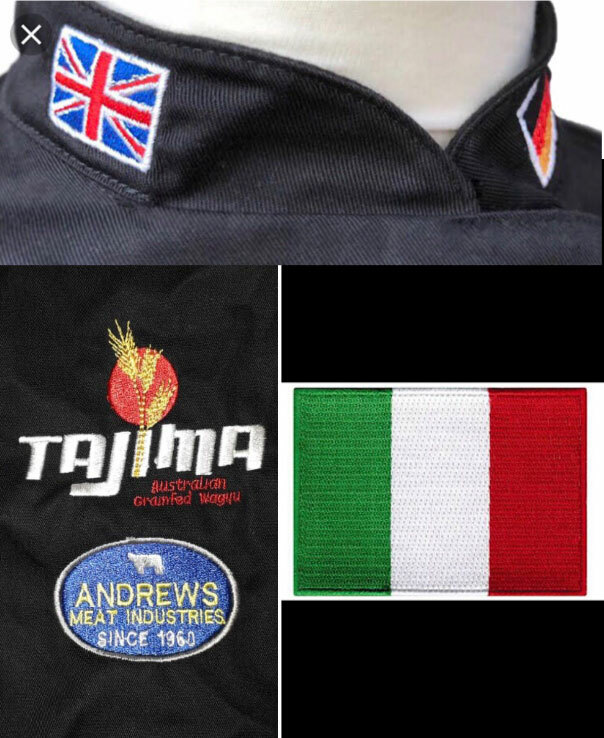 All of our chef uniforms are embroidered with the highest quality thread and stitched by our factory professionals. We provide you the best quality embroidered chef uniforms quicker at very low price including free set up cost which saves up to $100 per Artwork compared your garment to get embroidered through third party. We are trusted by the top chefs in the world to make sure they look and feel their best. 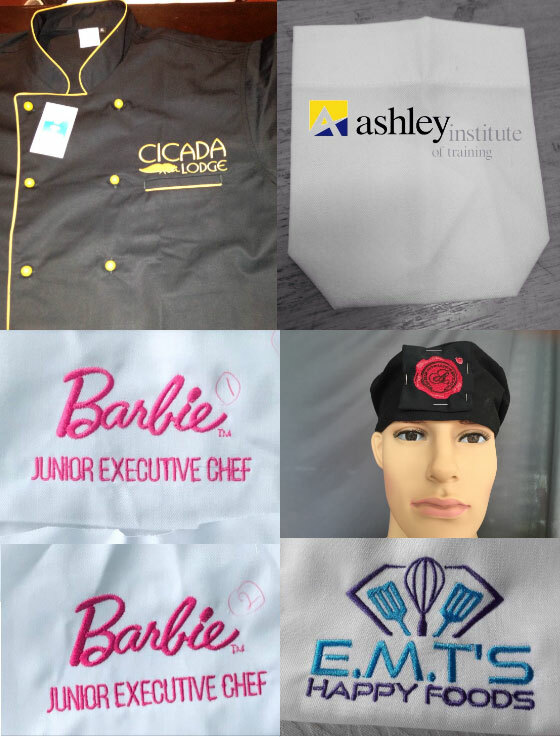 We can embroider a huge range of Chef Uniforms including Chef Jackets, Chef Pants, Chef T-Shirts, Chef Caps and Chef Aprons with Free set up cost which saves up to $100 per Artwork. Custom embroidery available. 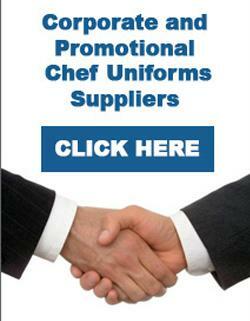 If you wish to embroider your chef uniforms, please contact us for pricing. Additional fees may apply for additional required colours and or logos that are larger than a standard sizing or sizing described above. Each logo must be applied to the minimum order quantity specified above. If you want your Logo in different sizes and colours, you can email your artwork through to us to get a quote and the time frame. We do our best to serve you to meet your expectation. 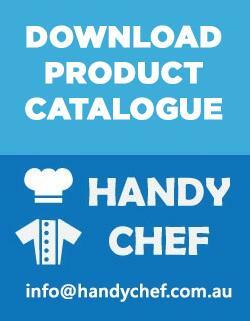 We provide a full range of Corporate and Promotional Chef Uniforms including Chef Jackets, Chef Pants, Chef T-Shirts, Chef Caps and Chef Aprons at very special discounted price. Please enquire today with your custom logo to embroider with the required quantity to get the special discounted price.